Disney Doc McStuffins Sleepy-Time Lambie with Lavender Pajamas Just $6.99 Down From $24.99 At Sears! You are here: Home / Great Deals / Disney Doc McStuffins Sleepy-Time Lambie with Lavender Pajamas Just $6.99 Down From $24.99 At Sears! 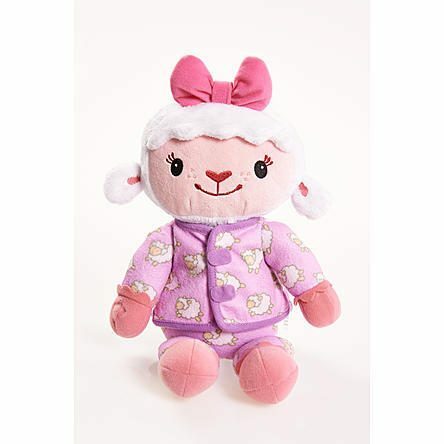 Sears has this fun Disney Doc McStuffins Sleepy-Time Lambie with Lavender Pajamas on sale for $6.99 (Reg. $24.99)! Plus you can get FREE shipping with any $30 order or FREE in-store pick up. Soft & Cuddly Sleepy Time Lambie is perfect to take to sleep with you! Lambie talks and sings as her bow lights up! Lambie says 6 different phrases and sings a special “Time to take a nap now” lullaby. Kids can activate Lambie’s light-up bow to glow with and without music. Lambie is ready for naptime dressed in soft lamb print pajamas.